We’ve been pretty busy, but we’ve managed to do 90% of all the very fun things we love to do when it’s warm outside. You know, Farmers Market, canoe trips down the river, run through sprinklers, tour with a dance company…that kind of thing. And because we’ve been so busy, we’ve gotten really good at the seriously fast, seriously easy dinner prep. These kabobs taste fancy. Like someone spent all day mixing a marinade and then slaving over a hot grill. Are you ready for the mind-blowing list of ingredients? 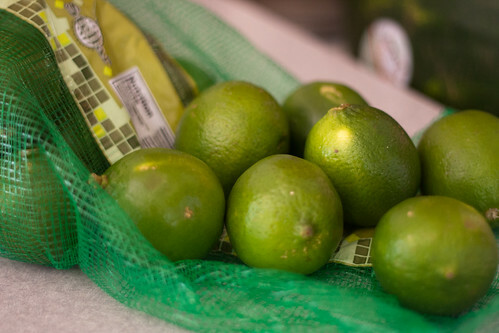 I know it seems weird to marinate steak in lime juice, but you just have to trust me. Your mouth will thank you. 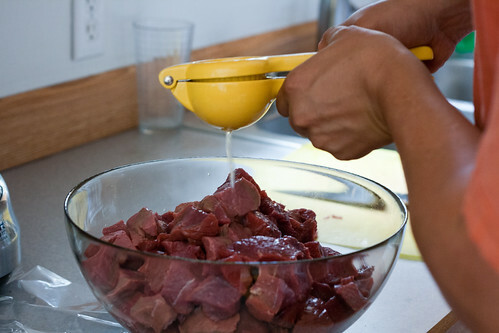 Place the cubed meat in a bowl or ziplock bag, and pour the lime juice over the meat. 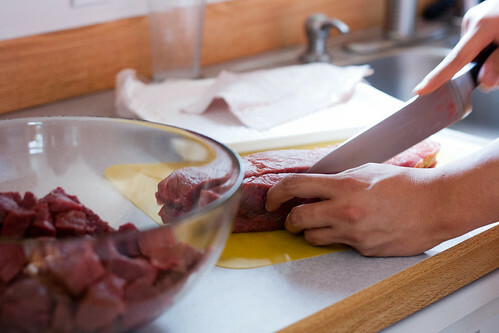 Allow the meat to marinate in the refrigerator for up to a day, but no less than 2 hours. If you’re using wooden skewers, soak them in a pan of water for about 15 minutes. Meanwhile, skewer the vegetables and then brush them with the olive oil. Use separate skewers for the meat. 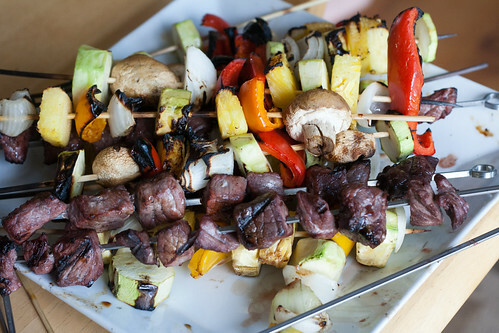 We like to do all meat kabobs and all vegetable kabobs to allow for varying grill times. We also have some vegetarian friends who appreciate not having to pick off the meat. We also have some meat eating friends who appreciate not having to pick off the vegetables. Grill the meat kabobs first, adding more lime juice if they start to dry out. After about 5 minutes, add the vegetable kabobs to the grill and brush on more olive oil if they start to dry out. You can serve them on the skewers or pull everything off and mix it in a bowl, as you prefer. Now if you’ll excuse me, I hear the sprinkler calling my name. Keep up the joyful spirit & good work in your kitchen!